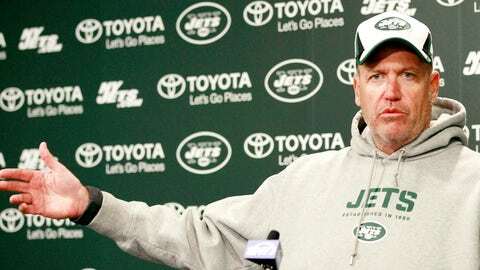 Rex Ryan has a 41-38 regular-season record as the Jets head coach. Rex Ryan will be retained as the Jets’ head coach, team owner Woody Johnson told the media after Sunday’s 20-7 win against the Dolphins. Ryan, who is still under contract for another year, wants some type of commitment moving forward, so a contract extension could be in the works. Despite wide scrutiny beginning last offseason, Ryan was able to lead the Jets to a respectable 8-8 record and second place in the AFC East. On top of that the Jets were plagued by an uneven season-long performance by rookie quarterback Geno Smith. Should Ryan stay in New York for the future, it’s likely that changes to his coaching staff would be made.